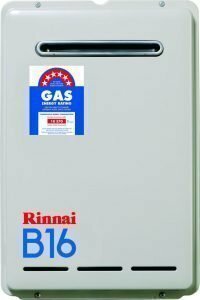 Instantaneous continuous flow gas hot water heaters operate in the same fashion as a traditional gas hot water heater with the exception that it is a fraction of the size. These systems work by heating water when you need it rather than heating a full tanks worth. This means as soon as your taps are turned on, water will continue to heat whilst the tap is on and shuts down when taps are turned off. This cycle known as Continuous flow makes Instantaneous continuous flow gas hot water one of the most energy efficient hot water heaters.